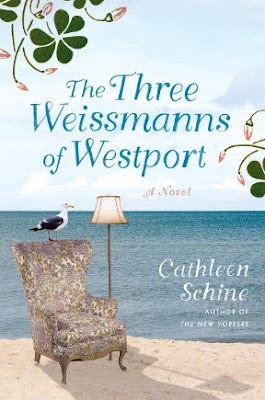 According to the jacket flap, The Three Weissmanns of Westport is a modern adaptation of Sense and Sensibility. The New York Times noted that author Cathleen Schine does more than copy the plot; she actually captures Jane Austen’s sensibility. I would add that Jane Green, a women’s fiction author who lives in Westport, is another influence in both style and subject. In fact, Jane Green moved to a beachside cottage in Westport after her divorce, met her new husband there and blogged about this novel. Schine borrows from the two Janes, but she spins an original tale in her own voice. Betty’s middle-aged daughters aren’t much better off. 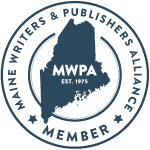 The eldest is a divorced librarian who pines for her grown sons and fills her hours rereading classic novels: “Annie was matter-of-fact but the facts were never hers.” Miranda’s “Awful Authors” ruin her literary agency; their salacious memoirs are revealed to be frauds. Short on fortune, the three women move from Manhattan to a relative’s beachside cottage in posh Westport, Connecticut. Wealthy retired Jews and WASPs are the landed gentry of the 21st Century. Schine captures both settings well to my particular satisfaction. I grew up in Manhattan and used to visit my Jewish grandparents in Westport. On hearing the title, my parents said, “We know the Weissmanns of Westport.” Nope, this is fiction, but like the best social satire, it is true to life but far more amusing. Shakespeare Watch: On March 22, 2010 Arden is publishing a 19th century play "Double Falsehood or The Distressed Lovers" which is supposedly based on three missing plays by Shakespeare. C21 Jane Austen. And then all was revealed. Cathleen Schine is a writer who, I regret to say, I did not know of until today. She has gone at once, thanks to your succinct review, immediately on to my list of 'must reads' and I shall start with 'The Three Weissmanns of Westport', assuming that this is not her first novel. As you describe it, the subject/theme of the novel will, I believe, appeal to me enormously and I am grateful to you for bringing this writer to my attention. I really liked Sense and Sensibility so it sounds like a great book. Might we see a movie at some point? The passages you quoted were most interesting to me for one main reason: this is an author who loves language. Notice the length of the third sentence in this paragraph. You will be hard pressed to find sentences in English today as verbose as that (I'm using 'verbose' as 'flowery', not tedious, by the way). Most phrases nowadays are short, sharp and snappy. That's not criticism, by the way. It's an observation. But it is this other fragment you quoted that made my jaw hit the floor. It's the opposite of the first one in that it is very succinct and brief, but, oh, so beautiful. Sarah: Thank you for this review and for highlighting those incredible sentences. When you can pull them out of context and they demand your attention and make you smile, you know this is a book that will capture you with its mastery of language alone. “Annie was matter-of-fact but the facts were never hers.” The author slices through an approach to life like a knife through soft butter. This sounds great! I heard an interview with the author on the NYT book review podcast a few weeks ago and she speaks to the relevance of Austen in the 21st century. I adored The Love Letter, so I shall be on the lookout for this one! I read a review of this in the New York Times when I in NY in February . . . and I remember thinking how much I'd enjoy it. The Jane Austen House bookstore carries a lot of fiction that "borrows" or riffs on the Austen plot and characters. I will have to ask about this one. BTW, I have an old white bathrobe. After reading that sentence which compares it to a crumpled Kleenex I may have to rethink my fondness for it. You're right ... what wonderful passages!! Wonderful passages. I'm happy to know about this book. I've enjoyed two others by Cathleen Shine: The Love Letter and The Evolution of Jane. And you know I can't read without a pen or a pencil--too afraid something will be lost forever. All, I’ve just gotten back from a trip to NYC, extended 2 days at the last minute. It was wonderful, but now I’m paying the price. I'll blog about it next week. It was so welcoming to come home to your comments. I’m looking forward to catching up with your blogs soon. David, the pencil is mighty indeed. Edith, it is amazing how Schine manages to echo Austen’s voice, even when talking about modern topics in contemporary language. This is my first novel by Schine, but I had already heard good things about her. I’d love to hear your impression of this novel. Tina, I bet this book would make a good movie too, although lighter than the original. ACIL, yes, Schine has an academic’s appreciation of language and literary structure. She actually started out in academia but in history. You have an academic’s eye for language too. I believe the longer, circuitous sentences echo 19th century literary style, although I’m no expert. I absolutely loved that “fact” sentence too. She manages to bend even clichés to her bidding. Bonnie, the amazing thing was that this book was stocked full of these witty one liners and still had more to offer. Schine is a prose master. Booksnyc, I’ll have to search for that podcast. Thanks for letting us know about it. I enjoyed her end article in the Sunday NYT Book Review about how she only recently read the classics of literature. She’s clearly making up for lost time. Pamela, thanks for The Love Letter recommendation. This was my first book by Schine, but I’m sure I’ll be back for more. Bee, I thought “cruel but fair” when I read that robe description. One would like to think our spouse’s love us in our most natural states. Was that Portland, Maine? What a coincidence! I recommended it to our local independent bookstore, based on the NYT review. The Wall Street Journal panned it. Reviewers/bloggers have either loved it or hated it. Some people get sick of all the Austen knock offs, but this is better then most. The pace is also slower than most women’s fiction and it’s very domestic and insular, but that lines up with Austen too. I’d love to hear your impression of it. It might not please all, but I think an Austen lover like you will appreciate it. I loved it. Kelly, it was hard to choose just a few passages as there were so many. Cynthia, that’s a second recommendation for The Love Letter. I’ll have to check it out or The Evolution of Jane. I would have guessed that you read with one of those multicolor pens science students use because your text analysis is so gloriously complex. I have already asked my library to get this book for me. They told me four people are ahead of me--seems to be a good read and I cannot wait to get the book! I love Sense and Sensibility. I know that I will enjoy this book very much. Thank you for the wonderful review! Tracy, tell me how you like it. It’s a new release on the NYT bestseller list, which might explain the queue. It’s good to see a well written book with a literary theme there. Septmebermom, I’d love to hear how you think Schine’s modern take compares to the original. Sarah, I read with a pencil too, but I circle the typographical errors, more and more of which I am finding these days, even in books by major publishers. I use post-its to mark passages I like, thinking that I'll quote them later in my blog posts. Then the post-its fall out. Oh well. The passages you quoted are as if Jane Austen herself wrote them! I like "Sense and Sensibility" and its film adaptations, especially Ang Lee's 1995 British drama film. According to your review, it seems that many parallels can be found between the book and Jane Austen's. Its film( if possible) would be lovely and interesting!! Becky, welcome to my blog! I love your reviews, and now I know why. I also correct typos and even grammatical errors in published books. I got in the habit when reading aloud to my kids. I’ve learned to breeze past them in messy ARCs. I mark interesting passages with index cards, which also fall out. It’s interesting that our methods overlap because we have similar taste in books too. Sapphire, Schine has a remarkable ear. There are many plot/character parallels with Sense and Sensibility that a fan would appreciate. Thanks for mentioning the film for other readers to find. this sounds an excellent read and right up my street --as it were. So sad about the poor Kotex.....how terrible to be likened to one. Am starting a Persephone reading group here in Manhattan so sorry you and Bee are variously far away! Ewix, yes, I thought of Bee and you when I was reading and how much you two would enjoy this novel. "Monkeys typing Shakespeare" explains the word verification. Oh, I cannot wait to read this! Thank you, Sarah. And I really like that little revelation of yourself. thanks for the review. I do just the same, writing down quotes that capture something perfectly, tends to be how i judge the worth of the book, if there are enough such moments. Angie, I’d love to hear your reaction to this novel. Martine, welcome to my blog! That’s good that your are blogging about education. My copy arrived this week from Amazon and I'm saving it for my trip to Europe in June. I cannot wait to read it. DM, how much fun to go to Europe! Let me know what you think of the novel.